Acorns fill our playground at this time of year. My sweet preschoolers bring pocketfuls of acorns back into our class each day. There are so many in fact, that I have a jar where we are collecting and counting each one as it is added. I keep telling my class that they are becoming masters at adding even though they aren’t even in kindergarten yet. As their confidence builds, so do their counting and adding skills. 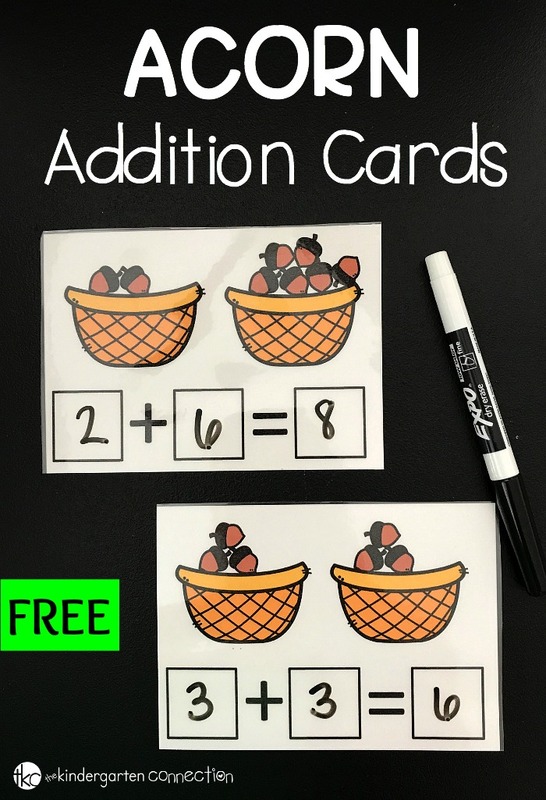 Our acorn addition cards are a great math activity to reinforce counting skills and practice addition skills. 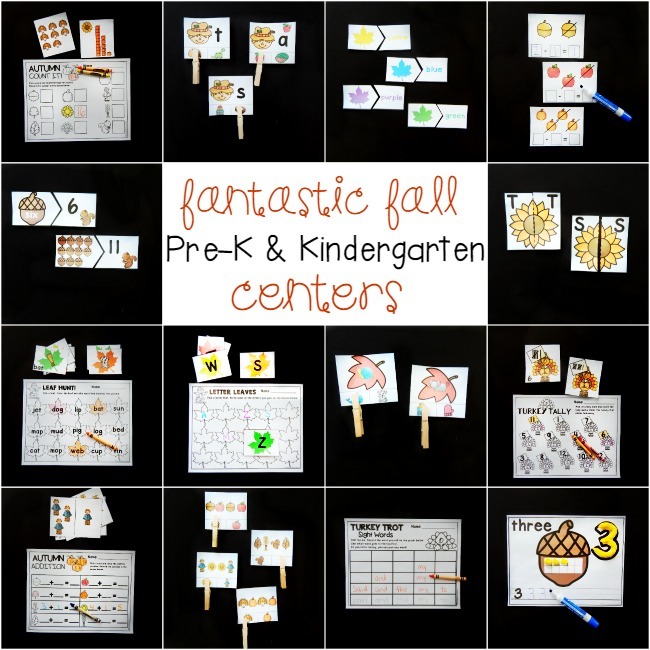 The printable acorn addition cards include 16 addition picture counting cards. Each card has 2 baskets of acorns on it. Print and laminate the cards before cutting them apart on the gray dotted lines. 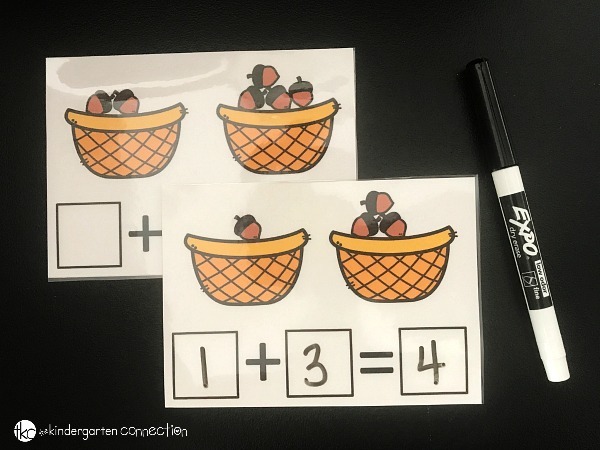 If you are going to use a plastic pouch with these acorn addition cards instead of laminating, that will work with the dry erase markers too! When working with counting and addition cards we like to use dry erase markers or number magnets and mini cookie sheets. 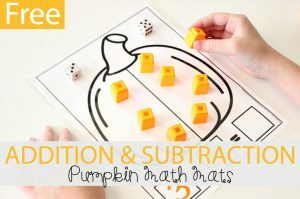 Place the cards and dry erase markers in a basket, and it’s time to learn! Pick a card and look at the 2 baskets of acorns on it. Count the acorns in the first basket and write the number in the first box of the addition sentence. 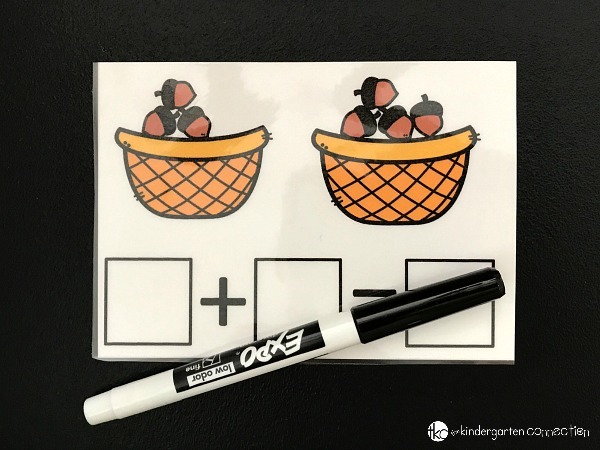 Count the acorns in the second basket and write the number in the next box of the addition sentence. To find the total number of acorns, add the 2 numbers together or count the total number of acorns. Write the answer to the addition problem in the last box. Continue to work through all of the acorn addition cards this way. 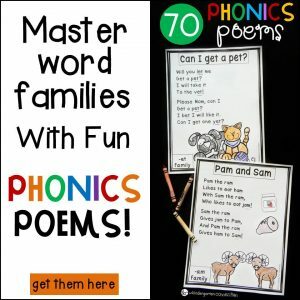 These cards are great for multi-leveled learners. 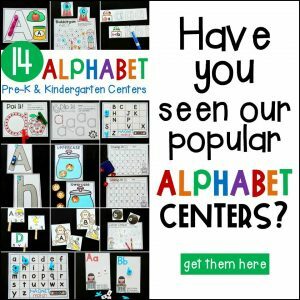 My preschoolers will just use them as counting cards, but will still write the numbers in the boxes. Kindergarteners will use them as true addition cards. Both strategies work and number, counting, and addition skills are being practiced. 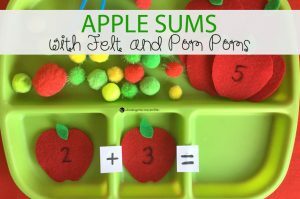 Ready to work on addition and subtraction? 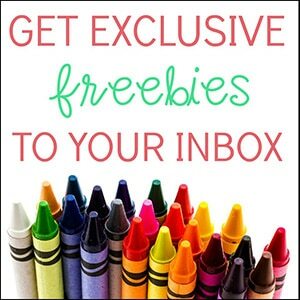 Grab your copy of the acorn addition cards by clicking the yellow button below. 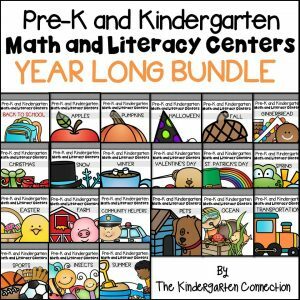 Then, hop on over and grab our Fall Math and Literacy Centers! This is so wonderful! I am so happy to hear this!